In many ways, search is all about the details. A detail that cannot be overlooked is the treatment of working capital in the transaction. If saved until the final drafts of the P&S agreement, the deal could fall apart when the seller is forced to wade into the confusing legal and accounting complexities surrounding their balance sheet. It is very important to understand the unique working capital characteristics of the company you intend to buy, and initiate early discussions with the seller – to avoid painful misunderstandings later. This is not something to delegate to your accountants. Dig into the details, understand the numbers and concepts yourself. The accounting firm that prepares your QoE can explain the details, but you need to “own” them. Oftentimes, it is up to the searcher to explain to the seller, their broker, lawyer or advisors in the most simple terms, how the working capital accounts will be treated at closing. Developing a firm understanding of these accounts may take you back to your accounting textbooks, and if you attempt to bluff your way through the discussion, your seller may walk away and chalk you up as a “rookie buyer” who is too green to take over the legacy of their business. Sellers have a tendency to obsess over their income statement and ignore the balance sheet. Yet, each of the line items may have particular meaning to the business owner, may involve a lot of money and will bring the seller down to the 100-foot level of turning their business over to someone else. It is only after the working capital “true up” is settled that the seller truly understands their “pocket price” when they sell the business. Why is a working capital “true up” important? One basic principle in purchasing a company is that the seller is providing an “ongoing business” at closing. However, your offer is based upon financial data provided by the seller, which may be six months old by closing time. In surveying multiple search transactions, the vast majority had some kind of purchase price adjustment for changes in working capital between the offer date and the closing date. A working capital “target value” is fixed in the Purchase and Sale agreement as a way to prevent from the seller taking too much “cash” out of the business before closing. This calculation is based on the examining a “snapshot” of the working capital accounts at closing as compared to those line items on the balance sheet provided by the seller on which the offer was made. In some instances, the “target value” is based on a monthly average to smooth out any variations, very much like the EBITDA TTM calculations used in setting the purchase price. In others, it is a specific number negotiated with the seller that seems reasonable to sustain the business after the closing date. One misconception about working capital is that there will be cash left in the business by the seller, which is not true unless there have been significant customer prepayments. Most purchase transactionss are considered “cash free/debt free”. The seller gets to keep all the cash in their accounts, sweeping them just before closing. It is up to you to provide cash to support the cyclical needs of the business going forward. Generally, this is done with a separate line of credit with a bank that will be collateralized by inventory and receivables. Any debts the business has, short and long term, are repaid by the seller at closing, from the cash that you bring to the table. If the working capital at closing is less than the target value, the seller “pays you back” the difference and you pay the seller if working capital is more than the target value, on the rationale that it would have turned into cash very quickly from cash flow cycle in the business. Since these amounts are difficult to precisely reconcile on the day of closing, your accountant is given time to gather the specifics and develop a closing balance sheet from which to assess the difference from the target. Generally, an escrow account is set up to “hold back” some of the seller’s proceeds for a period of time. Oftentimes, closing dates are targeted at month end to make this process easier to avoid a “stub” accounting period. What makes up working capital? Generally, the most significant current asset is accounts receivables which can be fairly well predicted from historical collections data. You will need a way to adjust for uncollected funds 6-12 months after closing since the seller will be warranting their full value. Like receivables(A/R), inventory is another component of working capital and may turn out to be obsolete or unique to specific customers. The buyer also assumes the responsibility for paying vendors for the invoices submitted prior to closing. These accounts payable(A/P) generally have delayed payment terms of 30-90 days. There may also be some committed purchase orders that are not yet received and if they represent a “spike” from normal activity, will have to be accounted for as well. In most instances, accrued expenses are not included in the working capital formula as they represent non-cash GAAP accounting techniques to “smooth” monthly reporting. However, prepaid expenses will need specific line-by-line review, and are treated very similar to measuring the heating oil in the tank when a house is sold. Highlighting these specific details in the LOI in an exhibit will increase clarity around what will be happening at closing. General liability insurance, for example, is prepaid a year in advance and if you will be using another vendor, the seller will have to cancel the policy and seek reimbursement. On the other hand, if you plan to use the sellers alarm company that had their annual invoice paid 2 months before closing, you will need to compensate the seller for the balance of the value. The timing of the working capital adjustment often requires an “escrow account” that puts some of the paid cash at closing into an account that is not released for a number of months. This would be separate from the Reps/Warranties escrow account that “catches” any surprises that were not “disclosed” or “foreseen” by the seller and may be under a different time schedule. Of course, this additional withheld cash can be another emotional blow to the seller — again being perceived as a lack of trust. Best to have these issues laid out early in the price and terms negotiations rather than held out for later legal discussions. One searcher brought up the need for escrow during the final draft of the P&S agreement, a standard legal framework, and the seller viewed it as the “last straw” of concessions that they would have to make and threatened to walk from the deal until it was dropped. Depending on the sophistication of the Seller’s accounting systems, accrual accounting under GAAP principles may dictate cash outlays that the buyer must pay for after closing. Generally, you want GAAP principles to apply rather than past practices since going forward you will want the advantages that GAAP gives you in operating the business. The QofE provider (See Blog – Quality of Earnings ) may uncover that interim monthly statements do not account for full accrual on a monthly or quarterly basis. One searcher reported that it was necessary to deduct accrued bonuses from the sale price at closing since these would be paid several months after closing. In a business with a large number of employees, there may need to be a small adjustment for wages if closing is on a Tuesday instead of a Friday. It is best to set up a “base balance sheet” using the trial balance of historical cash, prepaid expenses and accruals. Identify each line item to be included and excluded. For example, lines to be eliminated and set to zero, would be related third party receivables, notes receivable, income taxes receivable, security deposits and deferred income taxes. On the liability side, current portion of long term debt, customer deposits and accrued expenses like audit fees, vacation, bonuses, payroll, health insurance, payroll taxes, and 401(k)employee contributions will need discussion. There may be an instance when cash is left in the business especially when there are significant prepayments from customers. These account balances should all be spelled out in an exhibit in the LOI and P&S agreement. Post-closing disputes are not un-common, especially when the seller has to remit some of the funds from closing. While the seller note is always a vehicle [for] adjustments, it is better to keep it as a legal contract, not subject to variations based on other parts of the transaction. 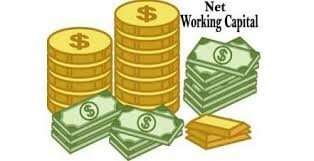 Working capital is complicated and different for each business and transaction. You won’t find courses on this in many MBA programs. Best to be knowledgeable, specific and precise, and not utilizing general phrases and terms. The devil is in these details. More importantly, this is not something to delegate, since oftentimes you will be the only one in the room that fully understands the implications and ramifications of getting it wrong. Finally, when raising financing for your deal, always raise some extra cash if you have been too precise on your calculations. Very timely post, Jim. I’m in the process of discussing this very topic with a potential seller as part of negotiating the offer. The seller’s amenability to the working capital details were a surprise to me. They are open to it because they’ve been involved with buying and selling businesses in the past. It helps to have a knowledgeable seller to eliminate some of the trust issues that can come up in these discussions. Musa, you have found an unusual seller if they understand and embrace the working capital issues. Now, drive to closing! Every searcher should read this article 5-10 times! Working capital is a VERY confusing area, especially for a complex business in motion with many transactions coming in and out of their accounts. Sellers won’t have a clue, the lawyers will understand less, and everyone will cross their arms and point in opposite directions; this powder keg of issues can easily blow up any deal. In the end, I ate the difference since the sellers basically said: “We don’t care what the LOI says, we can walk!” The searcher must figure out whether they’re comfortable biting their tongue in exchange for a solid opportunity. Overall, the difference will hopefully fade into the background as time goes on…but, this was a very thorny issue. I worked on a transaction with a company that has significant seasonal fluctuations in working capital. We avoided the concept of a working capital “peg” by stipulating that no unusual dividends would be paid to owners. The management team in charge of sales (AR), production (inventory) and finance (AP) would be participated as buyers, and so were well aligned to manage working capital appropriately during the diligence period. Our sellers were most concerned about not having any surprises between LOI and close by way of changes to sellers proceeds. One thing that has been super helpful has been to engage our senior lender’s treasury services group. They have given us some great ideas on how to improve cash conversion cycle of working capital post close with bank products we hadn’t considered. For instance, on the AR and revenue side, the bank would help us transition from paper checks to ACH transactions. This will help us on expended time and lost cash from noncollectable or hard to collect debt. On the AP side, they would help us move from paper check payment to credit card payment to extend our payable time frame by 30 days. And their advice is free! Scott, these are great lessons on how to get the seller engaged in keeping an eye on working capital. Each transaction is different and needs creativity around this kind of alignment. Wonderful to see the bank stepping up with some solid advice about improving cash flow. More and more searcher/CEO’s are utilizing credit cards for their accounts payable. We put everything we can on credit cards– 30+ days terms and $rewards for using them too. Where else can you find a deal like that? The rewards $ build up pays for the company Holiday party.